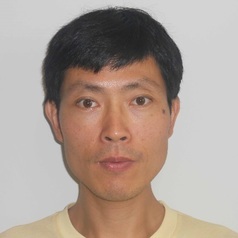 Dr Wang worked as a postdoctoral scientist from 2004 to 2014, first at The University of New South Wales, then at The University of Sydney and recently at James Cook University. In September 2014, he joined Federation University Australia as a senior lecturer in Biomedical Science, teaching Anatomical Pathology and Clinical Haematology. Dr Wang is the sole Chief Investigator of a current NHMRC project (APP1062671, 2014–2016). His research focuses on the effect of renal sympathetic nerves on hypertension, atherosclerosis, diabetes, heart failure, stroke and renal failure. Dr Wang is specialised in the research field of sympathetic nerves and cardiovascular diseases. He is Head of the Neurovascular Research Laboratory and supervises 3 PhD, 3 Honours students and 1 research assistant.